Our Equipment Trailers are rated high in GVWR from 10K GVWR to 14K GVWR, ideal for hauling heavy loads such a skid loaders and backhoes as well as contractor, farming, and industrial equipment. 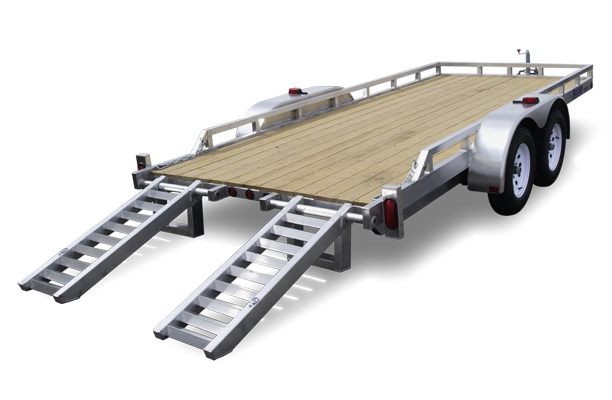 Trailers are available equipped with adjustable slide in ramps, brake axle w/ EZ lube hubs, wire harness system, 2 5/16 coupler. Need a little extra functionality? 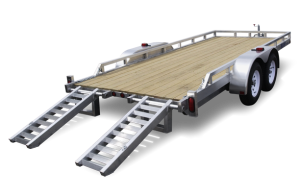 We offer several options to customize your trailer including tilt beds, steel dove tails, flip knee ramps, stab jacks, tongue boxes, spare mounts, chain trays, winches and more. For smaller loads we also have cargo trailers and auto haulers.